The female reproductive system consists of several parts. The ovary is one of the components and its located in the lower abdomen, they are two of them and each one on either side of the uterus. The ovaries main function is to produce eggs required for fertilization and as well produce various hormones including progesterone and estrogen. At times, a cyst can develop in both or one of the ovaries. Usually, a cyst appears like a sac full of fluid. In most cases, cysts tend to be painless and heal on themselves. However, this is not always the case, sometimes some cysts are dangerous, and if not treated, they can cause severe consequences. For instance, some cyst may be cancerous. In most cases, ovarian cysts don’t show any symptoms. Majority of the symptoms mainly start showing as the cyst grows. If you happen to suspect that you have an ovarian cyst or a closely related condition known called a Ruptured Cyst, make sure that you seek immediate attention to avoid severe consequences. Your surgeon, depending on your condition, can choose to perform a small incision using a procedure known as Laparoscopy or consider a larger abdominal incision known as a Laparotomy. In case of severe cysts, mainly ones that are related to cancer, the surgeon may have to remove the entire ovary or even both ovaries. For more uncomplicated cases, the cyst can be removed without affecting the ovary. Now, what do you expect after an ovarian cyst surgery? Side effects, especially after any surgery, are always expected. Some, depending on the surgical procedure or the patient, may be mere and temporary while some can pose severe long-term complications. Pain – One of the most common side-effects of surgery is a pain. In this case, pain after ovarian cyst surgery can be experienced. If the pain is not severe, you can use over-the-counter medication including ibuprofen or paracetamol for pain relief. However, it’s always important to consult with your doctor first before deciding to take any step. Weight Loss – Many patients are usually curious if there is a relationship between ovarian cyst removal and weight loss. And, yes there is! Often, some cysts secrete hormones which can have an impact on several parts of your health including your weight. For instance, the polycystic ovary syndrome can cause metabolic issues leading to weight gain. Therefore, when a cyst is removed, weight loss can be expected. That’s just another simple effect of ovarian cyst surgery. Scar – A scar after surgery can also be expected. In this case, ovarian cyst removal scar may form, mainly at a surgical site including the ovaries, pelvis, or the fallopian tubes. Usually, sometimes unexpected complications happen during or even after a surgical procedure. 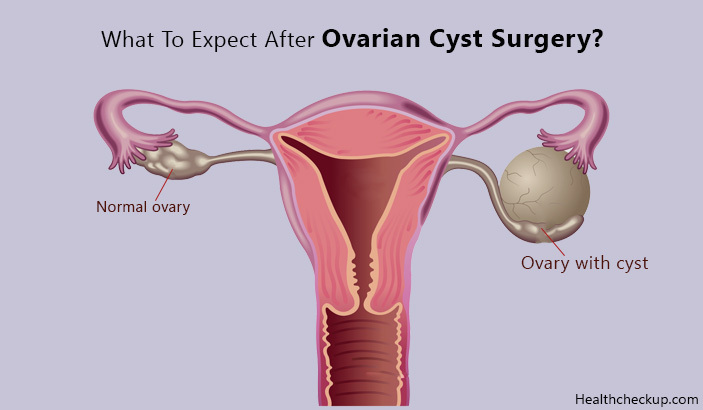 In the case of an ovarian cyst removal surgery, here what is to expect. It should be noted, however, that most women who undergo an ovarian cyst surgery recover well. 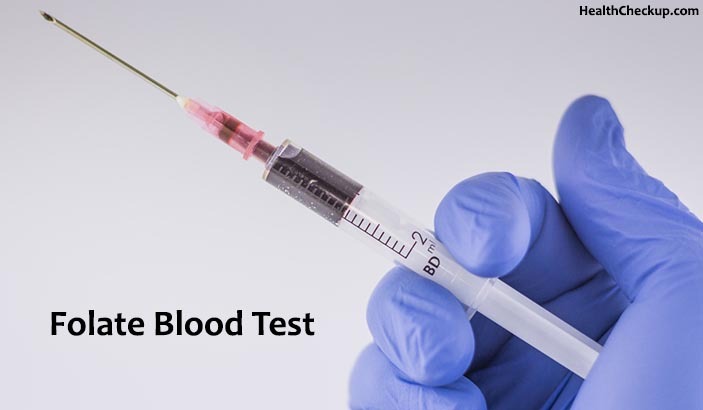 Some of the possible complications include bleeding and infections. Ovarian cyst removal can damage not only your ovaries, but also other organs including your ureter, bowel, or bladder. However, this is unusual. Even in serious situations, you may end up losing your ovaries. Therefore, eliminating the chances of producing any eggs, and thus not bearing any children. In most cases, however, surgeons try as much as possible to preserve your ovaries. It may take you a while to recover after an ovarian surgery. However, bear in mind that our bodies are different and therefore you should take your time before you resume your normal activities, some people may take one week, others two, and much more. Strictly follow your surgeon’s aftercare advice to recover quickly and also to avoid endangering yourself. Usually, with a laparoscopy procedure, you can even resume your regular activates within one or three days. However, strenuous activities should be avoided for about one to two weeks. In the case of laparotomy, you may be admitted to the hospital for some time, maybe 2-5 days while you are recommended to resume your normal activities after 4-6 weeks. As discussed above, an ovarian cyst can pose serious problems, and therefore it should never be ignored. Also, it’s worth noting that ovarian cyst cannot be prevented. Therefore, have routine gynecologic examinations to any detect ovarian cysts before they become serious or even cancerous.